The Streak its rotomolded design ensures a lasting products in the form of strength and durability. This is a real crowd pleaser with a superfast learning curve, and a real family's favourite. Stay on edge when you need stability with the molded fins, and use the easy start handle hook for more security on the water. 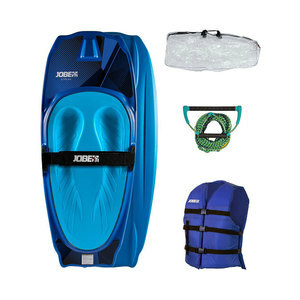 Use the fully padded single kneeboard strap to secure yourself and go!